Find the best Washington casinos on our list. Above all, you can find local resorts and hotels as well as online casinos that accept players from Washington. Furthermore, if you live in another country, find the best online casino by country over here. Easily, find the best slots to play in Washington state. Also, feel free to navigate through this page using the table of contents below. · Emerald Queen Casino Hotel. · Quinault Beach Resort . · Angel Of The Winds Casino. · Visit Muckleshoot Casino Resort. Find Washington in the Northwestern part of the US. The state overlooks the Pacific ocean. If you live in the state of WA and want to take a drive to play slots for real money you can go to a casinos located in Canada or you can take a drive to another state to play slots for real money like Oregon, or Idaho. If you want to stay in the state of WA and are looking for another land casino gambling establishment besides the Tulalip Resort, you may want to take a look at the Little Creek Resort. Find The Little Creek Resort located on 91 West State Route 108 in Shelton WA, and the zip code is 98584. They can be reached by phone at (800) 667-7711. The Little Creek Resort is only about a twenty-minute drive from downtown Olympia without traffic and is only a short walk from the Salish Cliffs Golf Club. First of all, rest assured at Tulalip Resort is a AAA Four Diamond resort. Above all, stay, play and dine at this hotel for personal or business reasons. If you are looking to host a convention for business or take your family on vacation, the Tulalip Resort is a great place. Furthermore, this hotel has premium gaming, dining, entertainment, and free Internet access. Also, this beautiful resort has bright Native American décor, which is immaculate. Have fun swimming or relaxing in the indoor pool, the spa or one of their premium restaurants. Moreover, find Tulalip Resort at 10200 Quil Ceda Boulevard in the town of Tulalip. Also, contact them directly at (360) 716-6000 or visit their website at Tulalipresortcasino.com. If you in looking for a new local resort closeby, you may like the Ilani Casino Resort. Above Cowlitz Indian Tribe owns this property and hires the Friedmutter Group to design the resort on April 24, 2017. According to the Wikipedia page, it appears that The Cowlitz Indian Tribe went through a long and costly process. Finally, the state agrees to allow them to build this casino on their reservation. You may be interested in knowing that The Government Of The United States Of America formally recognizes The Cowlitz Indian Tribe on February 14, 2000. With less than twenty years as a formal Native American Indian tribe, they decide to build a resort on their reservation. Furthermore, their tribe consists of almost four thousand members. In 2005, the National Indian Gaming Commission grants The Cowlitz Tribe with a gambling license. In 2013, the National Indian Gaming Commission grants the Cowlitz Tribe with over one hundred acres of land for their reservation close to La Center along Interstate 5. In December 2015, Mohegan Tribe of Connecticut strike a financial deal with the other Native American Indian Tribe to fund the gambling project. According to Wikipedia, it seems that the Mohegan Sun Tribe agrees to lend The Cowlitz Tribe five hundred ten million dollars. Moreover, the reason they game the resort the name “Ilani” is because it means “sing” in the language The Cowlitz speaks. Most importantly, locate this local resort at 1 Cowlitz Way in Ridgefield. Also, feel free to contact them at (877) 464-5264 or Ilaniresort.com. First of all, A Native American Indian Tribe owns the Quinault Beach Resort, which is only a little over twenty miles from Aberdeen. Also, it is less than thirty miles from the Quinault Indian Nation Cultural Center. While the hotel rooms are affordable, the suites are not the most luxurious. Furthermore, they have free wireless Internet on flat-screen televisions with regular cable channels plus coffeemakers. If you upgrade to one of the more expensive suites, you will have an ocean view and a whirlpool tub. Moreover, you can find plenty of slot machines and table games on the casino floor, Also, if you like to enjoy Texas Holdem or participate in poker tournaments they have a nice amount of tables in addition to their video poker machines. FInd the Quinault Beach Resort at 78 WA-115 in Ocean Shores. Contact them directly at (360) 289-9466 or go to Quinaultbeachresort.com. Indeed, if you want to stay, play and dine at a nice resort, stop by The Angel Of The Winds Casino. Above all, you can pull tabs on the slot machines and play bingo machines all day and night. Furthermore, this is a laid-back resort that is only seven miles away from The Gissberg Twin Lakes County. Also, this hotel is eight miles away from the indoor trampoline park, which is Absolute Air Park. When you stay at The Angel Of The Winds you can choose different affordable hotel rooms. Furthermore, the standard rooms have free wireless Internet, coffeemakers and Apple iPod docks. However, if you decide to upgrade to a suite, you will have separate living areas with your own mini fridge, wet bar, patio, and more televisions. Moreover, there are four casual restaurants to choose from that have live music from time to time. Most importantly, you can find the Angel Of The Winds Casino on 3438 Stoluckquamish Lane in Arlington. Also, feel free to contact them directly at (360) 474-9740 or Angelofthewinds.com. The Northern Quest Resort is a nice place to stay at, dine and play casino games if you are of legal age. Furthermore, the prices for rooms start under one hundred dollars per night and go up to two hundred dollars per night for the suites. Moreover, Spokane International Airport is only a few miles away. Also, if you like off-track betting, you may be in luck! Walk less than ten minutes to get to the Spokane County Raceway. Overall, this is a nice hotel with a lot of amenities. You can choose from several different restaurants, which include a cigar room. Also, you can relax in the indoor pool, enjoy the spa or use the fitness center. Most importantly, find The Northern Quest Resort at 100 N Hayford Road in Airway Heights. Also, contact them directly at (877) 871-6772 or visit Northernquest.com. Indeed, The Emerald Queen Casino Hotel is a nice place to stay overnight and play casino games in Washington State. First of all, you can find this resort easily, as it is off Interstate 5. If you like to look at vintage-style cars, America’s Car Museum is only five miles away. Above all, the hotel rooms are affordable but there is nothing special about them. They are low-key rooms with a decent amount of living space. Also, if you upgrade to the suites, you will have even more living space plus pull out sofas. Most importantly, find the Emerald Queen Casino Hotel at 5700 Pacific Highway East in Fife. Also, feel free to contact them directly at (253) 594-7777 or Emeraldqueen.com. Above all, enjoy playing slots blackjack and craps keno at the ultimate Indian gaming entertainment palaces. Also, the Native American Indians own the majority of the resorts. Therefore you can count on excellent craps keno, blackjack and much more Indian gaming entertainment. The state has the Cascade Mountains that are snow-capped. Puget Sound is a nice attraction. Also, there are forest islands in the state and different spectacular terrains. Seattle is the largest city in Washington. Seattle has the highest suicide rate. Experts feel it does to the inclement weather. Seattle boasts coffeehouses where locals and visitors sit top enjoy exotic, freshly-brewed coffee. Seattle has a vibrant music industry as well the world of technology. Find various types and designs of modern glass. Washington has other attractions like Garden Glass, Seattle Aquarium, and Pike Place Market. This is an old market that has continued to thrive for centuries. Where Can I Find Washington Casinos Online? The Evergreen State has a total of 96 gambling establishments. Inside these almost 100 betting parlors, operators have invested up to 1, 164 table games and some 33, 084 gaming and slot machines. The minimum amount you can use on a single bet in most resorts is $0.01. However, the highest value a gamer will ever use on a single bet has been set at $5, 000. Whether you are a middle-income earner or gamblers consider yourself an elite class, you can be able to place several bets on your favorite games from your preferred gaming operator sites. Out of the 96 casinos is the Evergreen State, 9 of them offer hotel services. That means you do not have to worry about the time to leave your friends at the resort. With prior preparations, you can book yourself a room so that you find enough time to enjoy with your family and friends. If you prefer poker to any other casino games, there is plenty of it in Washington casinos. Currently, there are over 306 poker tables. Some of the games that clients enjoy are 7 Card Stud, No Limit Hold’em, Omaha Better or 8, Horse, Omaha Hi, Spread Limit, Five Card Draw, High-Low Stud, and Hi-Lo Split among other most sort poker games. Are planning to hold a meeting from one of the Washington casinos, gaming investors have done their best in putting up the necessary equipment for your meetings. The total meeting space available inside gambling establishments that offer conference space is 361, 500 square feet. The 96 Washington casinos have been spread throughout 61 major cities and towns. Seattle has eight gaming facilities being the city with a majority of the betting sites. Muckleshoot Casino is so far the largest gaming facility in the Evergreen State with 75 table games and 3, 125 slot machines. The second largest gaming facility in the Evergreen State is Tulalip Casino that has some 39 table games and slightly over 2, 200 gaming machines. The Evergreen State is on the North Western tip of the United States of America. It is a big state with several land casino gambling establishments plus several Internet slots to bet slot machines for cash. All of the sites that we have listed above are reputable, trusted, dependable and licensed. 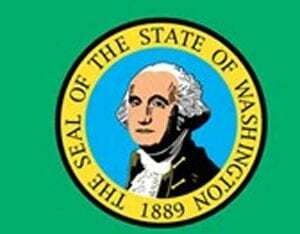 If you came to this section and lived in, do not live in the state of WA take a look at the find a local land casino by state section. Find everything you need to know about Casinos in Washington, from where casinos are located, to what slots & games are available online to state residents.